We appreciate the value of our patients time. Scheduling appointments can be difficult with all of our busy schedules. That's one of the reasons Dr. Thomas is committed to utilizing CEREC technology for the fabricating of crowns, inlays and onlays. Typically a crown, inlay or onlay would take two scheduled appointments without the CEREC system. One appointment for preparation and placement of a temporary and one for placement of the permanent restoration. The CEREC technology allows us to do the complete procedure in one visit lasting about 1.5 hours. Keeping up to date with technology is crucial to providing the best care for our patients. CEREC single visit crowns, inlays and onlays allow us to provide durable, natural looking restorations in half the time. The first step Dr. Thomas will make is preparing the tooth for the placement of a crown, inlay or onlay. Next he takes a computerized image of the tooth utilizing 3D imaging. Dr. then designs the custom restorations on the computer using CAD software. The image is transfered to a fabricating machine that precision mills the crown, inlay or onlay in about 15 minutes. 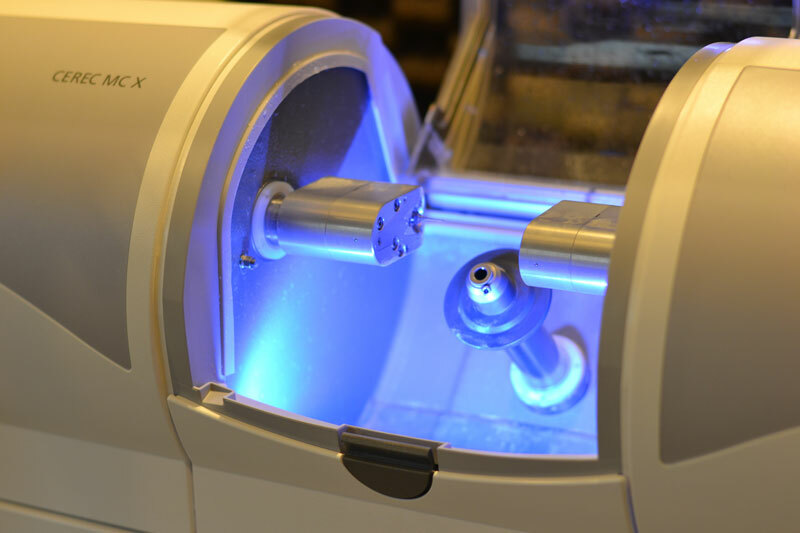 CEREC technology allows us to maintain more of the natural tooth structure by utilizing an advanced cementation system. After the milling is finished Dr. Thomas will cement the permanent crown, inlay or onlay completing the procedure.